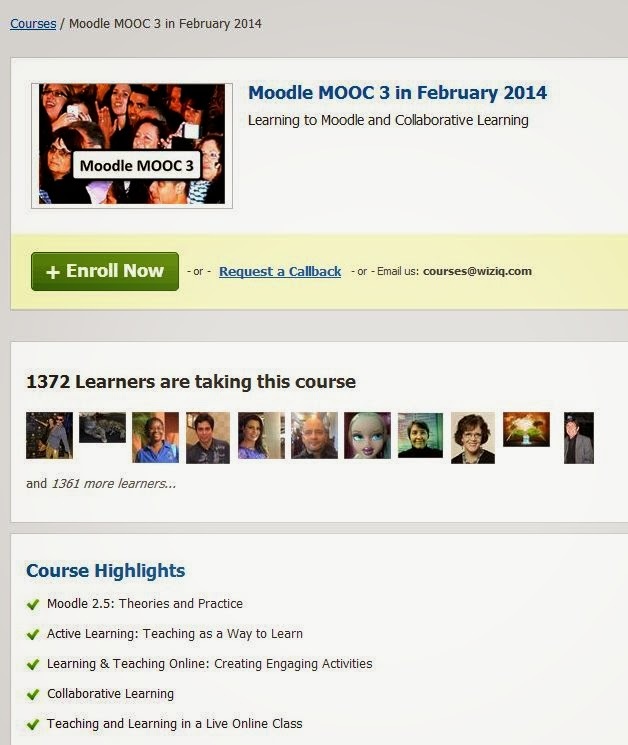 On 1 Febuary 2014 the third version of a wonderful course on Moodle will start and engage learners from around the world. The supporting platform is Wiziq, using Moodle. The genie and driver behind this course is Nellie Deutsch who is one of the key promoters of active learning and embracing participation. 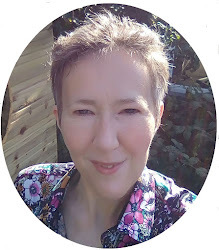 If you are wondering about setting up a MOOC, but your company or institute uses Moodle as the main learning platform, than join Nellie and her wonderful facilitators (all volunteers with top eLearning expertise) during this 3 week course. It is free, it is available and it is happening this February. More information on the Wiziq Moodle site. Moodle MOOC 3 will start on February 1, and end on February 28, 2014 on WizIQ (click here to acces the course) and the list of presentations (dates, times, presenters, topics, descriptions, live online sessions, and recordings). The MOOC will focus on connecting online for collaborative learning and teaching through Moodle. The live presentations will include the speakers’ reflective process on teaching and learning in fully online and blended learning formats. Moodle MOOC 3 will also include Moodle for Teachers (M4T) courses, for beginners and advanced Moodlers. The courses will be both asynchronous (Moodle) and synchronous (WizIQ) with recordings on WizIQ, YouTube, and Vimeo. There will be two learning areas: WizIQ course area and Moodle for Teachers (M4T) Moodle website. The live online sessions and recordings, tutorials (courseware) and ongoing discussions (course feed) will be available in the WizIQ course area. Unlike the traditional MOOCs that stress content and course delivery, Moodle MOOC will focus on active learning, reflection, sharing, and collaboration. The aim of the course is for the participants to learn through meaningful connections and social interactions. Participants who wish to receive a certificate of participation will be required to document their learning experiences by keeping a blog, wiki, website, or any other artifact that will include a description and reflection of the live sessions and/or recordings. M4TLE is a self-paced component of the Massive Open Online Course (MOOC) on WizIQ for teachers and anyone interested in teaching online using Moodle, WizIQ, and other web technologies. The course will take place in the month of February 2014. 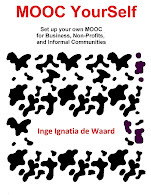 The MOOC is in the spirit of open education and is completely free. Participants will become acquainted with Moodle as a course and learning management system. They will learn how Moodle can be used in fully online, blended learning, and the flipped class. The course will only include asynchronous (not dependent on time) element on a Moodle site called Moodle for Teachers. The course is self-paced with ongoing discussions (facilitator and technical support available), live online classes (recordings), videos, and other relevant content. The workload for the MOOC includes participating or viewing the recordings of the live session and developing a reflective artifact in the form of a blog, wiki, google drive doc, website, web page on a website and so on to sustain the information relevant to your needs and your learning experiences. In addition, participants will be able to learn to manage a Moodle website as a teacher or manager. Participants, who are active on the coursefeed (discussions), attend all and/or view the recordings of all the sessions, reflect and write about the live sessions and share the link of their activities (blog, wiki, Moodle, facebook and other social networks) will be eligible for a certificate of completion. This aspect of the MOOC is ongoing, but time-based. Participants will add the links to their blogs posts in one of the Moodle courses (M4TB or M4TNB). The due date for the reflective practice is February 28, 2014. Just got a boost from Slideshare! As I was sleepingly looking at my slideshare account (I go there sometimes, procrastination, I admit), I found that the content I uploaded was within the top 1% of most viewed content. That was quite a surprise. Fun. First international 3 min #phd #thesis contest - can it be done?! 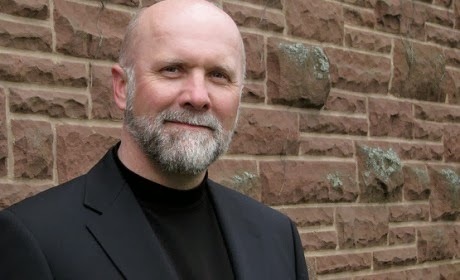 The wonderful Terry Anderson of Athabasca University in Canada has gathered international partners for the first international 3 minute online thesis contest. And I am quite excited to be one of the PhD student teams (the team of the Open University of the UK). All contestants and their thesis topics are listed here, so feel free to have a look. For those interested, the contest can be followed by the public and you can even vote for the people's choice of best speaker. As this is a first off, none of us know whether it will work smoothly. This is indeed typical of Online Endeavors. Exciting! 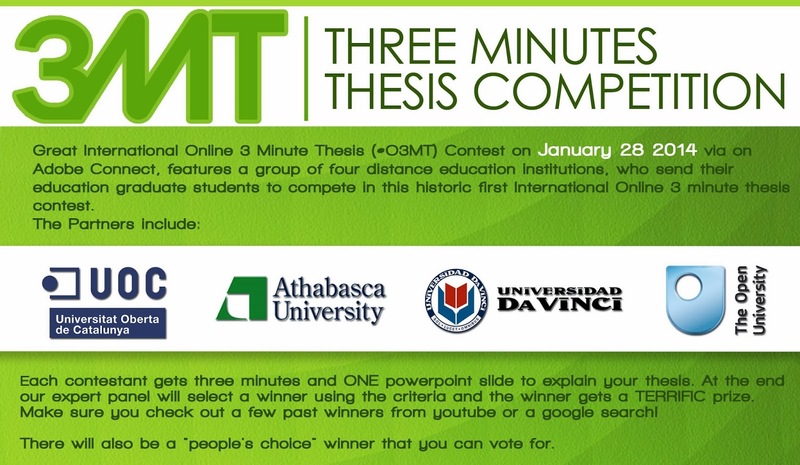 So feel free to come over and have a look at what the international online 3 minute thesis contest looks like. Learn what Phd students from Mexico, Spain, Canada and United Kingdom are investigating and vote for your favorite. PhD speakers come from these four universities: Da Vinci University of Mexico, Athabasca University of Canada, the Open University of Catalonia and the Open University of the United Kingdom. Engagement: Did the oration make the audience want to know more? Communication: Was the thesis topic and its significance communicated in language appropriate to an intelligent but non-specialist audience? The 3 minute thesis contest was first organised by University of Queensland, Australia as a face-to-face contest which was broadcast over the internet. The winner of one of the first 3 min thesis was Matthew Thompson and his winning thesis speech can be seen below (to be honest, that is one FABULOUS speech, as he is talking with calm, precision and keeps a wonderful narrative thread going). Now the catch with this international online 3 min contest is ... to be engaging talking heads. For yes, those of us behind a computer (which will be most of us speakers) will be using headsets and potentially unstable wifi connections. Quite a challenge! While writing up my findings for my pilot study, I am lucky enough to follow a workshop on grounded theory here at the Open University. This post reflects some of the points raised by the presenter Anne Adams, so live blogging from the workshop. Starting from previous qualitative experiences of all the participants, Anne gets an idea of her audience. Anne who is very energetic and clearly so knowledgeable that she is open to questions from the floor at any moment. Anne’s approach is starting from the data. Important for PhD justifying the methodology used. With grounded theory the results come from the data of the participants, so the subjectivity of the qualitative is in dialogue with the predetermination of the quantitative. Quantitative challenge: imposing external system of meaning for internal subjective structures, whereas grounded theory comes from the participants. Qualitative challenge: generates working hypothesis by producing concepts from data, representing participants reality in its complex context. But here the researcher’s assumption does add to framing the data. So research always has challenges through the instruments used. In ALL research challenges emerge. So being reflective is the answer to reach validity. Glaser and Strauss (1967) Glaser comes from quantitative, and Strauss from qualitative. Another important idea to remember is that Grounded Theory (GT) is an iteration. So the coding is not done linear, but iterative, where the linear is occurring in stages to find depth and meaning, after which the whole argumentation is thought through again. It is a skill as a researcher that you can continually manage to combine detail to theory in a valid justification. Theoretical sampling and negative case analysis. The sampling is very central to the process, because the experiment is not designed, the reason for selecting your participants becomes more important and should be clearly mentioned in your PhD account. Theoretical sensitivity (the methodological approach, you should not go in with a prior theory – in theory – this is seen by Glaser as polluting, but there are different flavours of GT. So you need to take a position on what you use, which GT you follow, Anne went in not with a framework, but being guided by some theory (Inge, wondering if this is more Charmaz?). Transferability: how far can your findings be transferred beyond your group. The GT purists would say that any theory coming out can only be related to that specific group, but there is an element of transferability to different contexts. So the sample might be generalizable to other contexts. This might also be of importance to your PhD dissertation, but you must be very clear on it not to ignite more discussion than necessary. A qualitative approach to HCI by Adams: http://oro.open.ac.uk/11911/ (2008) and another one but not typing quick enough to get that one, scholar googled Anne Adams here. Analysis stage – 3 levels of coding: open, axial and selective. Open (concepts are identified, grouped into categories – more abstract concepts and hooks, properties and dimensions of the category identified. Each category might cover a specific property, and will have a dimension – and dimension range - either frequency it occurs, or scope that it has, the intensity with which it is mentioned, and the duration it refers to). A rule of thumb with open coding is to look for frequency and if it is only mentioned infrequently, than it might be fundamental (e;g. after that I never learned anything online again). The idea of saturation is the moment that you know you have gone far enough. Saturation will emerge where you no longer find fundamental new ideas. Axial: start to move up from the categories, looking for high-level phenomena and conditions: causal conditions, contextual condition, intervening conditions. Phenomena action/interaction strategies and consequences identified by your participants. Where phenomena are central ideas or events. Whereas conditions are events that lead to occurrence or development of a phenomenon. The context is a set of properties (location, e.g.) that pertain to the phenomenon. Intervening conditions provides a light coming from a broader structural contexts (e.g. is it the individual, the organisational, the societal … which depends on the research question you started from and which you are searching an answer to). Action/interaction strategies: devised to manage, handle, carry out, respond to a phenomenon under a specific set of perceived conditions. Consequences – outcomes or results of action/interaction. · Select the core category (central phenomenon around which all the other categories are integrated) and high level story line (a descriptive narrative about the central phenomenon). The high level story line comes from your core category, so just a couple of sentences at the very most, that which goes into your abstract. The solution to come to these results are tools. Very important: keep relationship coding notes in open coding/analysis without loss of detail, and code both open and axial together. Focus is very variable, because GT has been adapted by many disciplines resulting in different GT flavors : so best is to look at your discipline and look at papers from that area. Charmaz is really good for a intermediate approach that allows staring from some theoretical assumptions. Since the dawn of my professional life, I have been following Harold Jarche. He is a constant inspiration, as he shares what he knows relentlessly, and advises companies on how to organize training in a more human, collaborative way. So good news for those residing close to The Hague in the Netherlands, as Harold is giving a masterclass (the page is in Dutch, but the masterclass will be in English) on Friday 31 January in the Haagse Toren in Den Haag, next to Den Haag Hollands spoor train station. The masterclass does cost 350 EUR, but if you look for real experiences in setting up succesful collaborative networks in your company... joining this class will be worth it. On another note, Harold wrote a chapter on social learning for the newly released social learning handbook 2014 written for the most part by Jane Hart. This 178 page book offers a great set of options to embed social collaboration at the workplace. My PhD journey is well on its way and nearing the end of year one (started in February 2013). One of my reoccurring challenges is using distinct academic vocabulary that gives stamina and rigor to my reports and papers. In all honesty as a Dutch speaking person I learned English by looking at Children BBC, documentaries and ... American action movies. Not surprisingly my PhD notes sometimes reflect these linguistic prior experiences. I write phrases like "I reshuffled my data until it triggered my curiosity and opened my eyes with a blast! In order to get the right answers, more action is necessary. ", where my supervisors relentlessly tell me I could (read should) be using more scientifically accepted jargon. So giving it try here and transforming the above sentence into: "While closely examining the data, new evidence emerged. However, additional research is necessary in order to examine these findings before a conclusion can be reached." ... well not sure if this is getting at the ultimate academic phrasing, but it simply sounds more like what one would expect in an academic paper (or so I am told, it would be nice to write a paper using action hero lingo though). It takes me hours to find the right words and phrases to carefully describe what I want to say in such a way that the verbs and nouns used add to the 'seriousness' of the paper. So I work at it. The only problem is, that I need to find a way to internalize this vocabulary in order to save time while writing my papers. 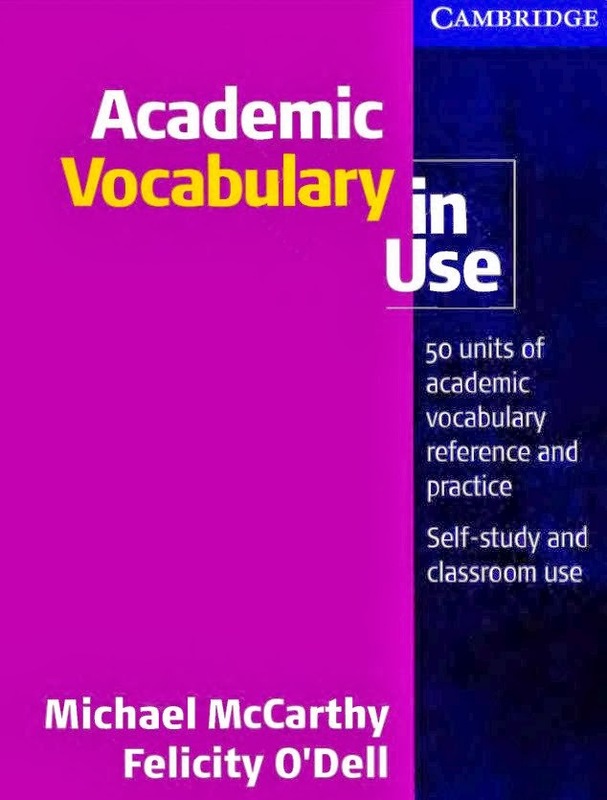 Reading is one option, but just today I found an online book called "Academic vocabulary in Use" from Cambridge press, providing 50 units of vocabulary reference and practice. Nice, an exercise book was just what I was looking for. It is freely available if you press the link, but I have the distinct feeling that the book is normally for sale. So be quick if you want to have a look at the free copy as provided by the link. With the latest EU MOOC platform (http://www.openuped.eu/) being launched late 2013, the relentless MOOC roll out keeps on going. When a corporate MOOC platform is rolled out, the type of learners targetted by such a platform is open to the MOOC provider, but when an EU platform is rolled out, policy becomes important to ensure social equality, especially policy towards including vulnerable learners. Some of us with an interest in vulnerable learner groups (= those learners at risk of sliding into poverty, or already residing in a poverty position), took the opportunity to collaboratively write a paper highlighting some of the challenges that might be faced. All of us authors also tried to add possible solutions to these challenges, but the proof of the pudding is of course in the eating, so lots of research still needs to be done. The paper will be published in the EU papers, but in anticipation of that, sharing the draft via Academia here. It is called "Challenges for conceptualising MOOC for vulnerable learner groups". All of us authors as mentioned in the paper: Michael Sean Gallagher, Ronda Zelezny-Green, Laura Czerniewicz, Stephen Downes, Agnes Kukulska-Hulme, Julie Willems and myself (Inge de Waard). 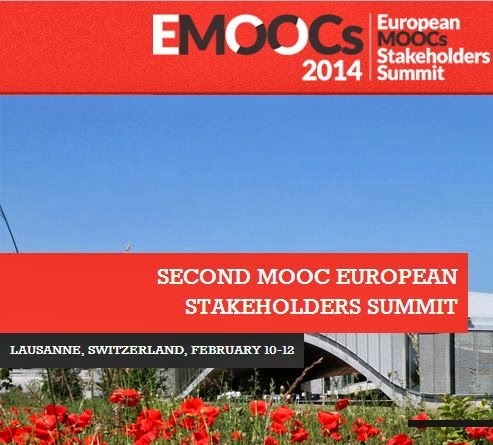 During the upcoming 10-12 Feburary eMOOC2014 MOOC stakeholder summit in Lausanne, Switzerland this collaboratively written paper will be discussed with MOOC providers from all realms (academics, corporate MOOC providers - all will be there: Coursera, EdX, FutureLearn, IMC...). A nice opportunity to get an idea of the interest by all stakeholders, the status of learner profile attention (specifically vulnerable groups) and overall trains of thought. Abstract: This exploratory paper picks up elements from the European Commission’s educational vision and philosophy behind Opening up Education, the resulting initiative of the OpenupEd.eu MOOC platform and takes this as a starting point to look at potential challenges for developing MOOCs that include vulnerable learner groups. In order to align the future conceptualization of MOOCs with the vision and philosophy of Europe, potential tensions of contemporary and future education are listed. The current dichotomy of xMOOC and cMOOC are used to mark some of the unexplored MOOC territory. Practical answers to contemporary, ICT supported educational challenges are provided as options to fuel the debate. The challenges and options for future online education initiatives are based on insights and ideas of international scholars and researchers reflecting on potential barriers for learners and online education. This paper aims to stimulate discussion of the potential for new educational technologies to ensure social inclusion for virtual and physical vulnerable learner groups. 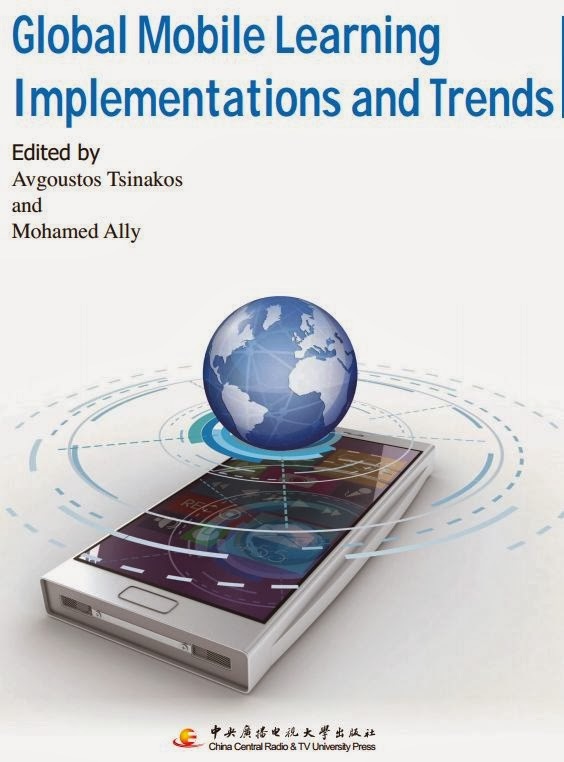 The relentless editing team of Mohamed Ally and Avgoustos Tsinakos have released a free, online book on global mobile learning implementations and trends in collaboration with the Open University of China. You can download the 258 page book here. 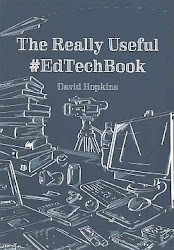 The book covers a lot of interesting areas and took up an article that me and co-authors previously published wrote for IRRODL on Using mLearning and MOOCs to understand chaos, emergence, and complexity in education. Chapter 9 Challenges for Successful Adoption of Mobile Learning by David Topolewski et al. Chapter 14 Using Self-Efficacy to Assess the Readiness of Nursing Educators and Students for Mobile Learning by Richard F. Kenny et al. This is just a wonderful book. It also fits with my aim to lift my presentation skills to the next level. I love an audience, I love discussions, so I want to make sure to reach out and touch (why does Diana Ross immediately come to mind?). 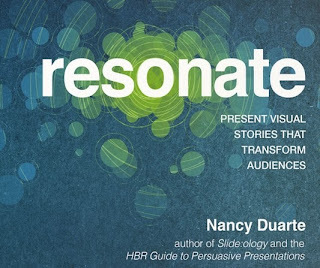 This free, online multimedia book is written by Nancy Duarte and it gives magnificent pointers on how to make your presentation stand out. 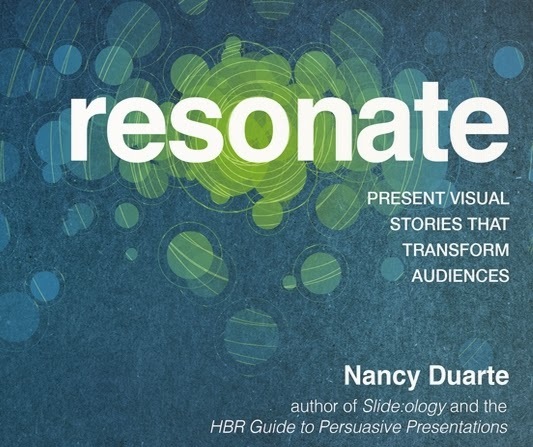 The book is called Resonate and can be found here. The book is using multimedia, pictures, meaningful texts in such a way that I found it a real pleasure to read. She provides simple and more difficult suggestions to engage with any audience you might encounter. And one of her basic concepts is that the audience is the hero, so you should at all times offer knowledge that might be of use to them (I completely agree with that, it is an old dialogue premise, but not always as easy to ensure). While reading it, I found close links to movie narratives (challenges, overcoming obstacles, call for action...) and all the while using embedded cultural metaphor's. But also adding to the reality of audiences faced: e.g. whether a presentation is political, corporate or academic; the audience consists of four distinct types of people capable of taking action: doers, suppliers, influencers and innovators. First of all a wonderful 2014 with lots of inspiring moments and growing wisdom! To start this new year, I gladly share a short paper that describes an instrument I made years ago to screen mobile courses for their gender and ethnicity depiction/narrative before roll out. It is a simple tool, with a simple clicking system and systematic, but nevertheless it has provided me with many insights into my own repetition of the norm embedded in me by culture and habit. de Waard, I., & Zolfo, M. (2009). 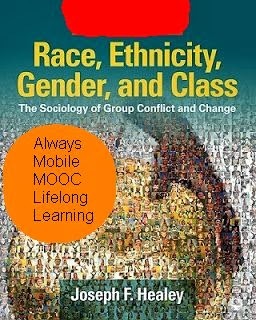 Integrating gender and ethnicity in mobile courses ante-design: a TELearning instrument. Name: International Journal of Interactive Mobile Technologies, 3, 77-78. This simple tool was initially build to construct interactive mobile courses for health care workers in different developing regions, but with the rise of MOOC, I figure it could be used for all global courses. Or for very local courses at that. Identity and empowerment are so fundamental to self-esteem, confidence and learning success that a conscious choice to use specific identities in an online course might push interaction, understanding, and self-reassurance. How does it work: you take your course storyboard - or your course pilot content - and you go through. Every character (animated or real; visual or audio) is categorized or numbered. For example if a black colored woman animated actor is used in the course, the skin color is clicked, the gender is clicked, and her action is counted (an action can either be passive or active - for example a female doctor actively examining a patient). This counting is done for all characters and all narrative voices. At the end the tool tells you how each gender and ethnicity is depicted in the course, and that can be an indicator to redesign certain features to make the course overall more balanced (or focused on a specific identity if that is your wish). Although this was made for mobile courses, the relevance for MOOC is evident. So I dare you to take this simple tool, and to go to a MOOC you are following and screen it for its gender/ethnic/active-passive representation. That will clearly show how 'global' the content is. In the process of adding age more specifically as well.